The BAM company is a leading manufacturer of contemporary looking and highly protective quality wind instrument cases. 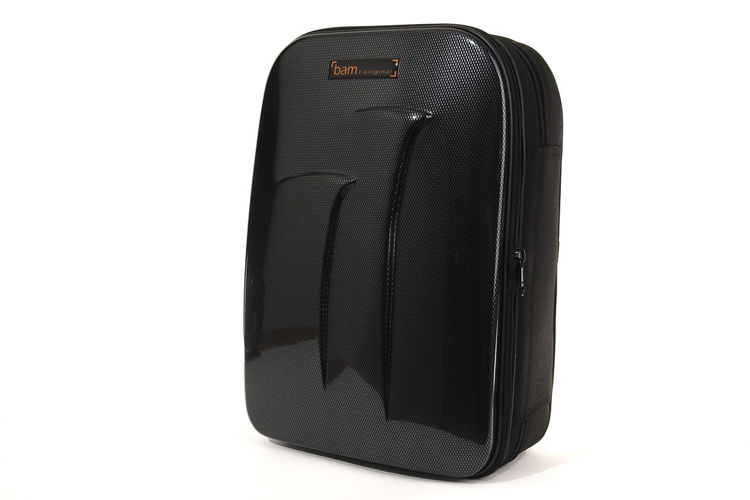 This New Trekking Double Clarinet case has an external BAM ballistic water resistant fabric outer. This offers protection against abrasion and weather elements. The internal cradle for the clarinets is made of injected high density polyurethane foam offering the highest level of padding and protection against thermal shocks. The internal moulding is based on the Buffet clarinet models and has space for 4 barrels and 2 mouthpieces. This case should fit most other standard makes and models of clarinets. The case also benefits from two highly padded backpack stlye straps and a large expandable outer pocket for sheet music and extra accessories. External dimensions of case: 43x30x17cm. Double padded backpack straps integral. Designed to fit Bb and A Clarinets with 4 barrels and 2 mouthpieces.